Originating in Japan, Time Attacks have quickly been accelerated to the fastest growing form of non contact automotive racing. 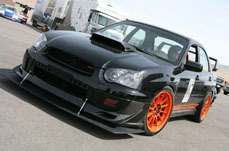 Lap Battle Time Attack Series at Miller Motorsports Park, bringing it to you like no one else! Our goal is to give racers and tuners the opportunity to showcase their talents on an actual race track. Behind the wheel of their own purpose built high performance race cars, without the danger associated with full door to door racing. 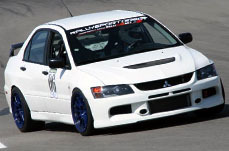 To win Lap Battle a competitor will need to possess not only superior driving technique but in depth automotive tuning and development skill. The Lap Battle ruleset and vehicle classing structure was created with one simple concept in mind... The fastest lap time wins! There wont be trophies for second place. There will be no runners up, so choose your equipment wisely. Lap Battle will consist of three(3) distinct classes, Street, Limited and Unlimited. With three(3) subclasses for each class, Front Wheel Drive, Rear Wheel Drive and All Wheel Drive. For those competitors needing track compatible timing equipment, AMB Transponders will be available for rent from MMP for $25 a day. Timing will be required during Lap Battle events. During Official Lap Battle events, each competitor will receive three(3) fully timed 20 minute practice session. Then they move onto the final Lap Battle session to blast away the competition with their fastest laps of the day. The quickest competitors in each of the classes will win cash and prizes, while the fastest of those will go home with even more money and the title of Lap Battle Champion. The goal of the Lap Battle Time Attack Series is to bridge the gap between entry level driving events and competitive road racing. While giving spectators, enthusiasts, competitors and sponsors a positive and visible forum to promote their activities and businesses. In an effort to help local competitors continue on to national level time attack events, Lap Battle is using a revised version of the Global Time Attack rules. Please visit globaltimeattack.com to review the official rules before attending an actual GTA event. 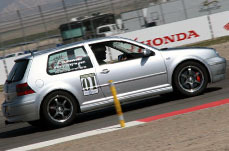 Vehicles entering into any Lap Battle Time Attack events must adhere to the regulations of the series as defined within this document, these regulations have been loosely based on the universally recognized Time Attack rules packages of the various series around the globe and are formulated to ensure that all vehicles are prepared to a high standard and safety compliant with the series requirements. All points listed will be strictly policed and checked, prior to the starting of each event and any vehicle failing to comply with these regulations will be excluded from the event. The following regulations apply to all Lap Battle Time Attack Competitors with specific rules for each class listed separately. Any vehicles not conforming may be excluded from any/all Time Attack events. If appropriate any/all parts of the regulations may be changed or modified on the Lap Battle Time Attack website www.Lap Battletimeattack.com by the Time Attack stewards/technical officials. Any modifications to regulations made in this way will be clearly marked and reported in the rules section of the Lap Battle Time Attack website. The Lap Battle rules were drafted in accordance with the National Auto Sport Association Club Codes and Regulations. NASA is managing vehicle inspection, timing, and scoring. Your vehicle(s) must meet the basic requirements of the NASA CCR, found at: NASA Club Codes & Regulations. Ensure your vehicle will pass inspection. Contact us if you have any questions. If you arrive and your vehicle is deemed unsafe, it won’t run. In other words every Lap Battle vehicle must pass NASA tech. No exceptions! Please note: Competitors not obeying standard Flag protocol will be disqualified! 1. Vehicles must be constructed by a recognized vehicle manufacturer and currently/previously available as a factory OEM vehicle with a government mandated VIN# or equivalent. 2. Tube chassis vehicles are not permitted unless part of the OEM structure. 3. The entire OEM floorpan, firewall and frame assemblies must remain intact and not modified in any way except permitted safety items per the NASA CCR. Other exceptions include any modifications that do not reduce chassis deflection or weight or allow for alteration of weight balance or lowered CG. (e.g. GST Impreza transmission tunnel of love). 4. Full under tray/ flat bottom is permitted in Limited and Unlimited. 5. All vehicles must have a silhouette that is largely faithful to the original with the general body shape and outline remaining largely true to the original stock body shape and outline. 6. OEM wheelbase must be retained in Street and Limited. 7. Rear OE fender modifications only to allow tire clearance are permitted in Street and Limited. 8. Polycarbonate “Lexan” replacement windows are not permitted in Street. 9. Brake lights must be operational. 1. Nitrous oxide systems are not permitted in Street and Limited. 2. Only one internal combustion engine is permitted per vehicle. 1. All tires must be readily available through traditional retail outlets. No “Special Sauce” tires per JC Meynet. 2. Suspension mounting points may not be moved by more than 1-inch. 3. Upper 1/3 of the wheels and tires may not extend past the widest point of the wheel arch when viewed from above. 1. A 6-point roll cage is strongly recommended in Street and Limited classes. 2. All vehicles equipped with 6-point cages must meet NASA CCR Section 15 specs. 3. All cars must run all decals required by the Lap Battle organizers. This will include doorplate on each side of the car as well as a windshield banner on either the top or bottom of the windshield and any other locations as specified. 4. An onboard fire suppression system is strongly recommended and may be installed in place of a NASA-mandated fire extinguisher. 5. All vehicles must at a minimum meet the safety standards found in the NASA CCR at Section 11. Unlimited vehicles must meet the safety standards found in the NASA CCR at Section 15. 6. All race entries are subject to Lap Battle approval and as such the organizers reserve the right to disallow any vehicle to compete that is considered unsafe or not in keeping with the spirit of the rules. 1. Each vehicle must be inspected at each event. 2. In the event of an accident/damage to the vehicle, the organizers reserve the right to re-inspect the vehicle before allowing it to return to the circuit. 1. NASA Officials will conduct all timing and scoring. Lap Battle will award Championship Points and maintain the point’s standings to determine the year end Lap Battle Champions. Points will be awarded to finishers based on the following schedule. Each driver will have their lowest even score dropped from the total. 1. After the completion of each session, and the competing vehicles are returning to the pit lane, a Lap Battle or NASA technical official has the right to ask a vehicle, or vehicles, to proceed to an impound area where the vehicle will be checked for technical compliance and the driver for proper attire. 2. Only when the technical official and vehicle representative are present may the vehicle be inspected. 3. Any competitor has the right to Protest another competitor on the grounds that their vehicle does not meet the rules. The Protest must be issued by another registered competitor, not a Team Owner, crew member, family member, etc. Upon receiving the Protest, Lap Battle will conduct a Protest Inspection of the vehicle to determine if the vehicle meets the rules. If the vehicle in question DOES NOT meet the rules, the vehicle’s lap times will be considered invalid, the vehicle’s results will be removed from the official competition records. Decisions made by Lap Battle are final, there will be no appeals. In addition to the pit and paddock rules found in the NASA CCR the following additional point should be observed. Competitor and Team member property: Lap Battle Time Attack, the event organizers and/or promoters and the venue owners and/or operators will not be held responsible for any competitors or their team members’ property throughout the course of the event. It is your own responsibility to ensure you safeguard yourself against any loss and if you do incur such loss you will not make a claim towards in respects of Lap Battle Time Attack, the event organizers and/or promoters and the venue owners and/or operators for the loss or losses. 1. Full carbon fiber or other lightweight material bodies are not permitted. Only bolted on components i.e. bumpers, front fenders, hood and trunk can be of alternate materials, doors must remain OEM. 2. The OEM tub chassis must remain intact and not modified in any way. 3. All OEM structure and protection must remain intact and not modified in any way. 4. The shock tower may be modified only to allow the installation of camber/caster plates and only such as required to obtain the necessary camber and caster. 5. Modifications to OEM suspension pick up points are not permitted. On strut type suspensions the outer end of the lower control arm may be adjusted a maximum of 1-inch. On vehicles where the above is not possible by OEM design the inner pick up point may be adjusted a maximum of 1-inch. 6. Front air dams, lips, splitters may not extend more than 5-inches beyond any portion of the bodywork. 7. Intercoolers may not extend past any portion of the bodywork. 8. All vehicles must use the OEM front and rear shock towers in the OEM locations. 9. Seam welding is permitted. No additional material other than the weld material may be added. 10. Flat bottom floors are not permitted between front and rear axles. 11. No portion of the rear wing may be the highest point on the vehicle. Exceptions allowed for hatchbacks and wagons that have no rear deck for mounting a wing. 12. No portion of the wing may be more than 5-inches rearward of the rear most point on the bodywork. 13. Vehicles are limited to a maximum of four canards. Canards must be mounted entirely forward of the front wheel tire assembly. Canards may project a maximum of 5-inches beyond the OE bodywork. 14. Active aero is not permitted. 15. No more than one aftermarket wing is permitted. 16. Polycarbonate “Lexan” replacement windows are not permitted. 17. OEM wheelbase must be retained. 18. Rear OE fender modifications only to allow tire clearance are permitted. No fender flares or “widebody” kits. 1. Dog engagement gearboxes are not permitted. Drivetrain changes are not permitted. 2. Only gasoline may be used as fuel (including E85) and leaded fuel is not permitted. 3. Cars must be equipped with working catalytic converter(s) if originally equipped, which all exhaust must pass through with the exception of wastegate dumps. 4. Exhaust “tips” may only extend a maximum of 3-inches beyond the rear bodywork. 5. Nitrous oxide is not allowed. 6. Engine swaps are to be of the same configuration or be available in that chassis as an alternate from the manufacturer. Exceptions for rotaries, a 2 rotor engine may replace a 4cylinder or a 3 rotor for a 6 cylinder and vice versa. 7. Drivetrain changes are not permitted (i.e. FWD to AWD or AWD to RWD conversions). 1. Cars must use DOT-approved treaded tires with a minimum UTQG-rating of 140 or higher. 3. Aftermarket suspension control arms must be direct replacements for the OEM components. 4. Adjustable shocks/dampers are not permitted to have more than two-way adjustments. 5. In-car driver-adjustable suspension or sway bars are not permitted. 6. Sway bar or links are not permitted to be mounted or pass through the vehicle’s interior. 7. Active suspension is not permitted. Vehicles with unmodified OEM systems are permitted. 1. Roll cages are not permitted to penetrate the firewall. If a six-point roll cage is installed any components may be modified only as needed to facilitate installation of the cage system, the front inner door panels may be removed. 2. Cars with fully gutted interiors are NOT permitted. OEM dash must be maintained. Headliner and carpet may be removed. OEM dash, OEM center consoles, OEM front door panels, and OEM kick panels must remain in OEM positions. All components associated with the above components are required. 3. OEM Glass is required in all positions. Front door windows must be in full down position. 4. The battery must be securely mounted and the positive battery post must be insulated. If the battery is a wet cell or spillable type battery it must be mounted in a spill proof container. 5. The Street class is not open to professional drivers whose primary occupation is competing in any professional racing series (i.e. NASCAR, Grand Am, IMSA) or instructing race drivers. We would ask that drivers in this group consider entering a vehicle in the Limited and Unlimited classes. 1. Full carbon fiber or other lightweight material bodies are not permitted. Only bolted on components i.e. bumpers, front fenders, hood and trunk can be of alternate materials, doors must remain OEM unless there is alternate driver side impact protection from a roll cage, roof panel may be replaced with an alternate material if already removed for roll cage installation. 2. Only one aftermarket wing is permitted. 3. The OEM floorpan must remain intact and not modified in any way from the front firewall to the rearward edge of the trunk compartment. Modifications to allow for the installation of a NASA-approved fuel cell or exhaust routing are permitted. 4. OEM front and rear shock towers must remain intact and not modified in any way. Shock/struts must attach to these towers and must pass through the original hole in the towers. The shock tower may be modified to install shock mounts, reinforcement or spacers but the OEM structure must remain in place. 5. Frame and chassis may be modified to allow for proper suspension travel but are restricted to those modifications necessary to accomplish the above. 6. Vehicles with fully gutted interiors are NOT permitted. OEM dash and OEM center console must be maintained. Headliner and carpet may be removed. Doors may be “gutted” if a six-point roll cage with side impact protection is installed. 7. Front door glass may be removed if a six-point roll cage with side impact protection is installed. 8. Full under tray/ flat bottom is permitted. 9. OEM wheelbase must be retained. 10. Rear OE fender modifications only to allow tire clearance are permitted. Minimally intrusive bolt-on fenders or fender flares are permitted. Wide-body replacement fenders are not permitted. 1. Sequentially shifted transmissions are not permitted. OEM clutch-operated manual gearboxes are permitted. 2. Methanol and other equivalent exotic fuels are not permitted. Leaded fuel is permitted. 3. Relocation of the engine and or transmission is not permitted. 4. Engine swaps are open. If an engine and or transmission swap is performed the new engine and or transmission must be installed as close as is possible to the OEM engine and transmission location. 5. Exhaust must exit behind front axle with allowances for external wastegates. 6. Nitrous Oxide is not permitted. 1. Cars must use DOT-approved treaded tires with a minimum UTQG-rating of 50 or higher. 2. Adjustable shocks/dampers with a maximum 3-way adjustment are permitted. 3. Active suspension is not permitted. Active suspension is defined as having automatic adjustment of ride height or shock strut damping characteristics. Vehicles with OEM semi active or active suspension are permitted to use the OEM system in an unmodified form. 4. Driver adjustment of the suspension is not permitted. 1. A six-point roll cage with side impact protection is strongly recommended. 2. The roll cage may penetrate the firewall. The firewall must be sealed. 3. Tire warmers are not permitted. Vehicles in Unlimited are unrestricted in terms of modification with the exception of the standards found in Section 1. All Unlimited vehicles must meet the NASA CCR safety standards found in Section 15 and Section 18. Unlimited: In addition to Section 11 of NASA’s CCR, Unlimited Class vehicles are required to pass a mandatory safety inspection. If the NASA officials do not feel your car is safe to race you will not be allowed to compete. For guidance please refer to the safety regulations for race vehicles as described in Section 15.0 through 15.16.18 of the NASA CCR found at: NASA CCR. This means proper fire-retardant driver’s attire, onboard fire extinguisher or fire system, minimum of legal 6-point cage, 5- or 6-point driver’s restraint, etc. It is up to you to make sure your vehicle complies. If you have any questions, please ask. 1. The OEM tub chassis may be modified to accommodate alternate suspension designs. Every effort should be made to maintain the OEM appearance of the strut/shock towers and related tub components. 2. Factory firewall may be modified to allow for roll cage to continue into the engine bay, for service related reasons, and for fitment of alternate engine and transmission. These modifications are limited to the minimum required to accomplish the above and firewall must be resealed to provide an adequate level of safety in the event of an engine bay fire. 3. Lower frame may be modified for fitment issues. Lower frame rails are also permitted to be removed no further than front point of the shock tower in the front and rear point of the rear. Modification to the lower frame rails should be first submitted to Lap Battle officials for approval. 4. Custom or modified front and rear sub frames may be used. Sub frames must mount to OEM locations. 6. “Windowless” vehicles are not permitted. 7. Full under tray/ flat bottom is permitted. 8. Body modifications/materials are open, provided the basic silhouette of the original car is largely maintained. 1. Driveline changes are unrestricted. It is legal to change the drive wheel configuration. The vehicle would then compete in the drive wheel configuration class that the finished vehicle is now eligible for (e.g. WORLD Racing FWD Scion tC with Gender Bender AWD conversion). 2. Nitrous oxide is permitted with appropriate blow-down tube and mounting. 1. A rollbar or cage is HIGHLY recommended. A six-point roll cage with side impact protection that meets NASA CCR Section 15 will be required to run in the Unlimited Class after August 1st 2012. Please make a not of this required change. 2. The roll cage may penetrate or pass through the firewall. The firewall must be sealed. Spectators are welcome at all Lap Battle events, MMP might require an entry fee. Spectators must sign a waiver at the front gate. Spectators are limited to the paddock, concession, and grandstands. Specifically, no spectators are allowed beyond the safety fences. Passengers are not allowed on track, no exceptions(please don't ask). To register, please go to the NASAUtah.com to sign up for an event.